The 29-year-old former bartender made the remark at a Martin Luther King Day event at Riverside Church in New York City during an interview with Ta-Nehisi Coates. Video clips of her comments were posted online. Transcript below. 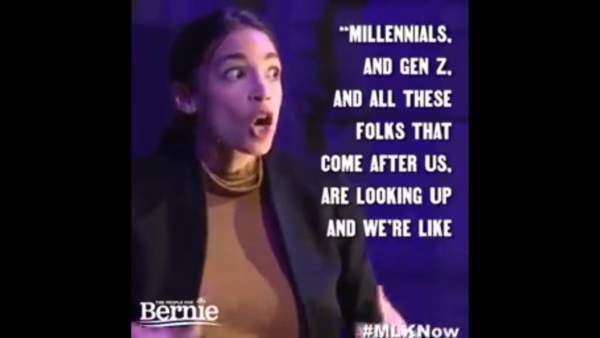 One version was posted with captions on Facebook by The People for Bernie Sanders. The fuller context of her statement was posted to Twitter by Tom Elliott with Grabien. 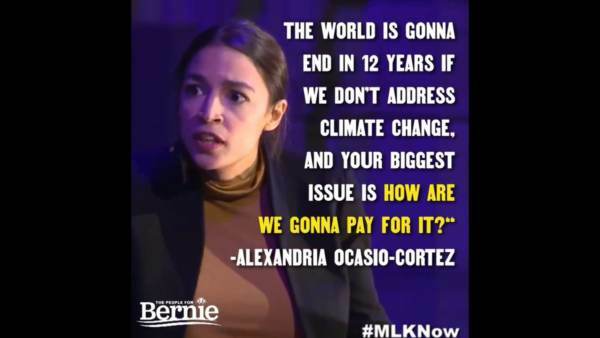 The post Alexandria Ocasio-Cortez: ‘The World Is Gonna End in 12 Years if We Don’t Address Climate Change’ appeared first on The Gateway Pundit.